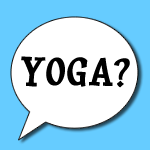 Do You Think Yoga Can “Wreck Your Body”? We typically hear about yoga as a way to become more in tune with our bodies as well as our minds, but the recent New York Times piece “How Yoga Can Wreck Your Body” presents yoga in a different light – one in which brings yoga’s benefits into question. And after reading this article, the Billy Joel song, “I Go To Extremes” was playing on constant loop in my head because the yoga instructor they quote talks about the extreme postures he was practicing. Anything, when done to extremes or done without the proper preparation or training, will take a toll on a person’s body over time. So while I recognize that some yoga postures may lead to injury for some, the benefits are still too great to ignore. What do you think? Do you think yoga can “wreck your body”? Anything taken to extremes can be detrimental. Yoga for me is very relaxing, peaceful, energizing, fun, etc. I feel like my posture is better and I wouldn’t give it up. I think running a half marathon last year was harder than any yoga I’ve ever done! Previous post: What Does 1500 Calories A Day Look Like?